Shoaib Furnishers deals is all kind of office and home furniture products. 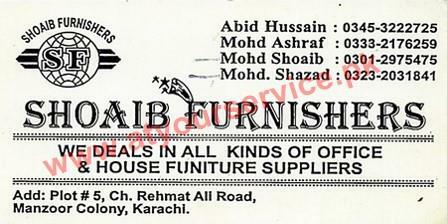 Shoaib Furnishers is located in Manzoor Colony, Karachi. It deals is all kind of office and home furniture products.